Photo courtesy of the US Air Force. Morgantown, W.Va. (March 2019) – NextGen Federal Systems (NextGen) was awarded a Small Business Innovation Research (SBIR) Phase II by the US Air Force Research Laboratory (AFRL). During this 2-year effort, NextGen will create the Weather Analysis-as-a-Service (WA3S) technology. WA3S will support the Department of Defense and the Intelligence Community with analyzing and disseminating extremely large volumes of global high-resolution weather data efficiently. The Air Force has a global mission requiring environmental situational awareness across the terrestrial, atmospheric, and space domains to execute missions and retain an asymmetric advantage over adversaries. This requires processing and disseminating large amounts of weather data to the Air Force, other US military and intelligence organization, and our allies and coalition partners so that the weather data can be exploited by warfighters and decision makers. Advances in numerical weather modeling and increased global observations have dramatically increased the volumes of environmental data available. This growth is due to both the AFW migration to a new weather forecasting model as well as new sensors and satellites coming online. 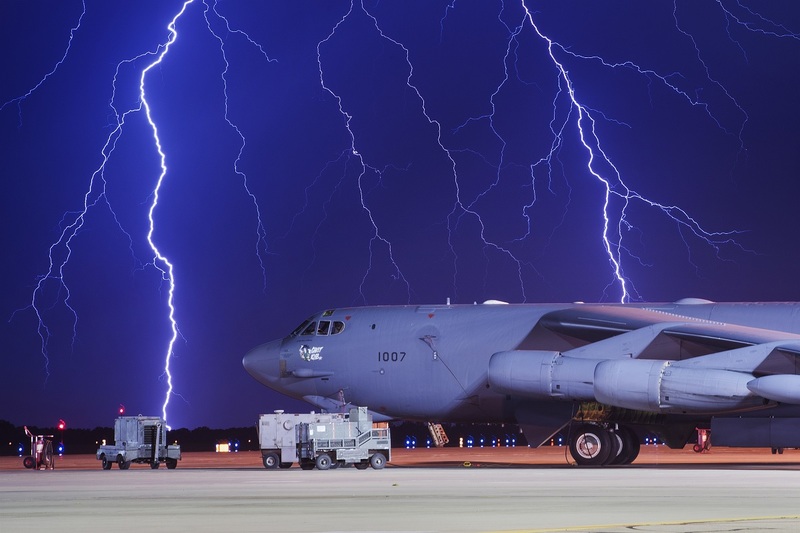 This data explosion is affecting how the Air Force analyzing and disseminates weather data across the enterprise to data consumers who conduct a variety of analyses in support of mission goals. “WA3S shifts the focus from data dissemination services to data exploitation services that support intelligent mission analysis, providing clients with actionable answers to mission weather queries and mitigation options for potential weather impacts,” said Jeremy Loomis, NextGen’s Principal Investigator. WA3S promises to be a revolutionary technology that implements powerful advancement for enterprise-level applications within military, federal/civil government, foreign military/government, and commercial sectors. It will be well-positioned to enhance current Air Force weather systems as well as similar systems at across the Department of Defense. When completed, WA3S will provide an advanced and scalable analytic capability which NextGen will license as part of product and service offerings to Government and commercial organizations. The SBIR program is a highly competitive program aimed at encouraging domestic small businesses to engage in federal research and development efforts that lead to development of new technology or process that has potential commercialized. About NextGen NextGen is an innovative information technology and professional services provider specializing in advanced software solutions as well as comprehensive mission and business support services. Our approach is to design, develop, implement, and manage information technology (IT) solutions that measurably improve our customer’s organizational performance. NextGen utilizes a mixed model consisting of mission services and solution development in support of C4ISR critical systems. Our core areas of expertise include C4ISR Software Development, Modern IT Systems Engineering, Modeling and Simulation, and Cyber Security & Data Management. NextGen adheres to industry standard practices and processes including CMMI, ISO, and PMBOK. NextGen places emphasis on recruiting top talent through our proven employee ownership method. We aggressively manage internal costs to ensure competitive salaries for top talent while ensuring cost-effective delivery to our customers For more information on NextGen, contact Arica Rohn at 937-314-4179.